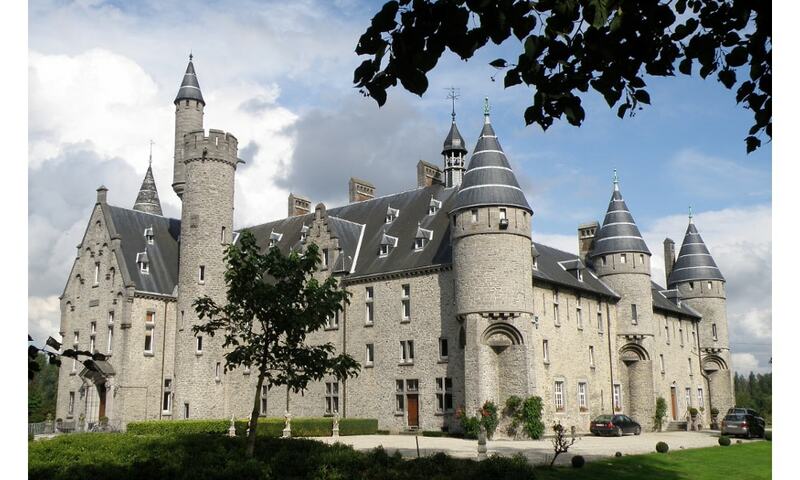 Bornem Castle, also known as the De Marnix de Sainte-Aldegonde Castle is a country house, formerly a castle, standing on the Oude Schelde, a tributary of the river Scheldt. The earliest fortification on the site was of the 10th or 11th centuries and was intended to defend against the incursions of the Normans. A later castle was built on the foundations of the older building in 1587 by Spanish noblemans. The present house was built on the same site at the end of the 19th century to plans by Hendrik Beyaert, after the remains of the 16th century building had been demolished. It remains in ownership of the house Marnix de Sainte-Aldegonde, the current resident is John de Marnix de Sainte-Aldegonde, 14th Earl of Bornem.